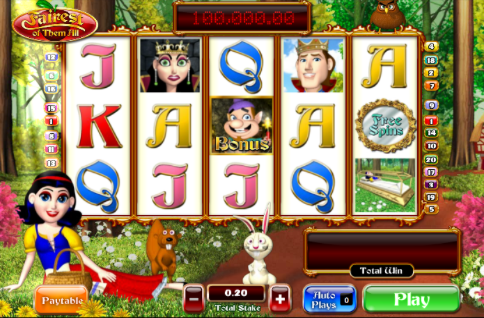 Fairytales new and old are a fantastic and never-ending source of subject matter for online slots developers; the fantasy elements offer endless scope for creative bonus features and with those come some top notch graphics and animations. 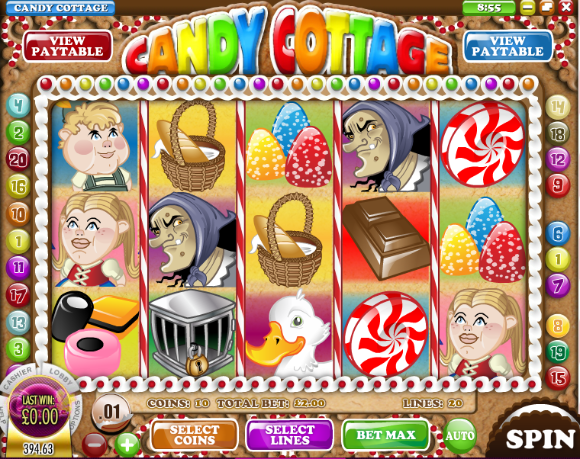 The list below contains five of our favourite fairytale-themed slots and this category includes children’s stories such as The Three Little Pigs alongside famous fairy stories such as Cinderella and Snow White & The Seven Dwarfs. 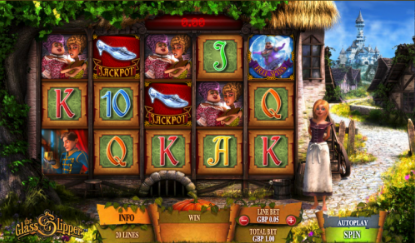 Fairest Of Them All is from Ash Gaming and it's based on the story of Snow White & The Seven Dwarfs; plenty of bonus features and a progressive jackpot make it a must for us. Click here for the full review. 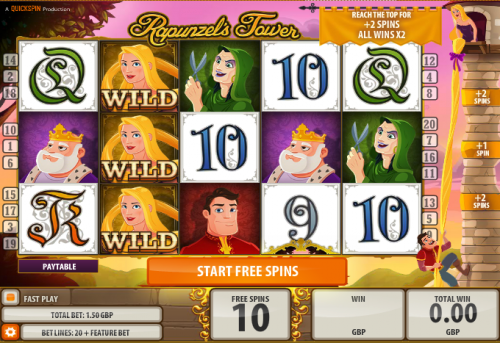 Rapunzel's Tower is developed by Quickspin and the real draw here is the bonus game which sees the prince climb up the tower during the free spins round. It's one of our favourites. Click here for the full review. 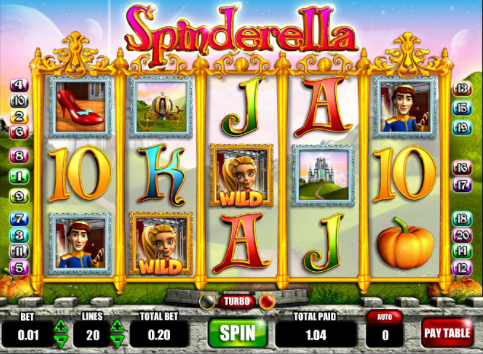 The Glass Slipper is another from Asdh Gaming but this time it's based on the tale of Cinderella or 'Cindy' as she's called here. Four bonus features plus a progressive jackpot mean it's one to check out. Click here for the full review. Spinderella is our second top five slot based on the story of Cinderella and it sticks fairly closely to the original story. There's nothing too creative here - it's just a very playable game with some attractive graphics. Click here for the full review. Big Bad Wolf is a graphically superb and funny take on the tale of the Three Little Pigs from Quickspin Gaming. The cascading reels are a constant favourite of ours and the free spins bonus feature eventually allows the wolf to blow down the house. Click here for the full review.